Greg has 25 years of dance experience. He has comprehensive knowledge of International Ballroom and Latin dance and extensive knowledge of dance technique and training methodology. 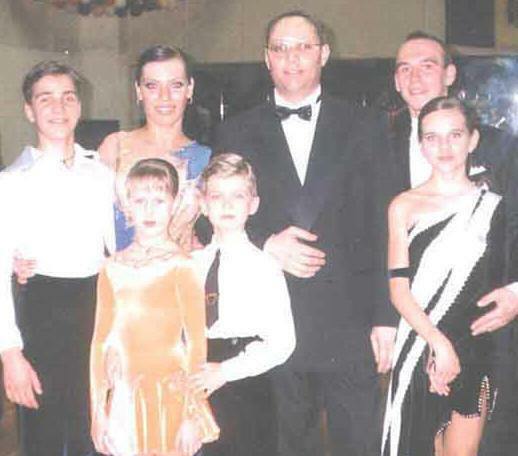 Greg is the President and Art Director of “Carnevalita”® Sport Ballroom Dancing Amateur Foundation, Odessa, an Umpire of Higher Category in Sporting Dancing of the Ukrainian Association of Sporting Dancing and the Ukrainian Federation of Sporting Dancing in 1999-2000, a member of the Ukrainian Board of Dancing. He began his career as a coach in 1984 and in 1996 had a public organization registered as “Carnevalita”® SBDAF. The main purpose of the Foundation lies in training of children and adults and their familiarization with the fundamentals of ballroom choreography, perfection of their skill and popularization of this sport. Using original methods, Greg has brought up many sportsmen and women of international level.